With Valentine’s Day on the horizon I bet you are like me and looking for fun little craft projects to whip up for all the little “loves” in your life. 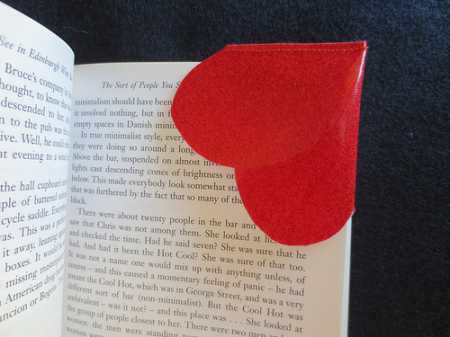 Pop on over to the blog Just Crafty Enough to see the tutorial on how to make a Valentine heart bookmark. And while you’re there check out her fun and easy recycled sweater mitten tutorial.